river views during a dog walk. I went up to Maine for the weekend and it was just what a doctor ordered--a little time away always does wonders for my psyche. On Friday I headed north with my parents and I had a low-key evening with Chinese food and Stranger Things (I'm only two episodes in to the 2nd season but it's so good). 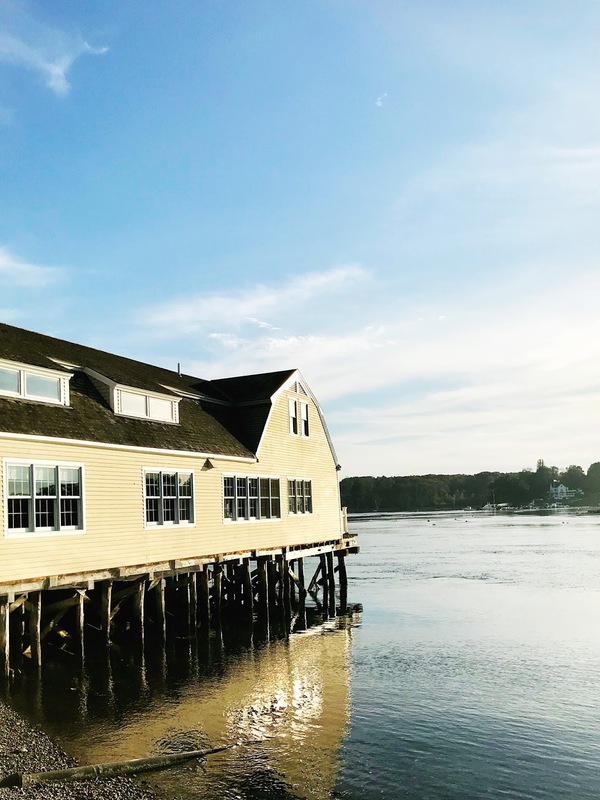 On Saturday I stocked up on some fall essentials at Stonewall Kitchen and then we went to Portsmouth to meet my godfather for lunch at Surf (it was great to see him and also get stuffed on truffled lobster maki). We did a little bit of shopping and then had a low-key night with takeout pizza. On Sunday everyone gathered at my parents' house to celebrate my mom's birthday. We had a fun brunch and then I transitioned my closet from summer to fall/winter (with much needed guidance from my mom and sister--it was just in time, too: the cooler temps have definitely arrived and sweater weather is officially here). Then some crazy storms rolled in and I lost power until mid-morning on Monday. It was a jam-packed weekend but good to sneak away for a bit (especially before the hellish couple of weeks I have coming up at work). And happy Halloween--I really don't care much for this holiday (I hate dressing up and get zero trick or treaters) but I'm excited that this means we're a little closer to Thanksgiving.